Shareholders/Irrigators – Please refer to the attached Water Restriction Notice. We are running very close to our 75% limit on a month to date basis and the recent increase in irrigation use suggests that there is a need for some restraint to conserve the storage. 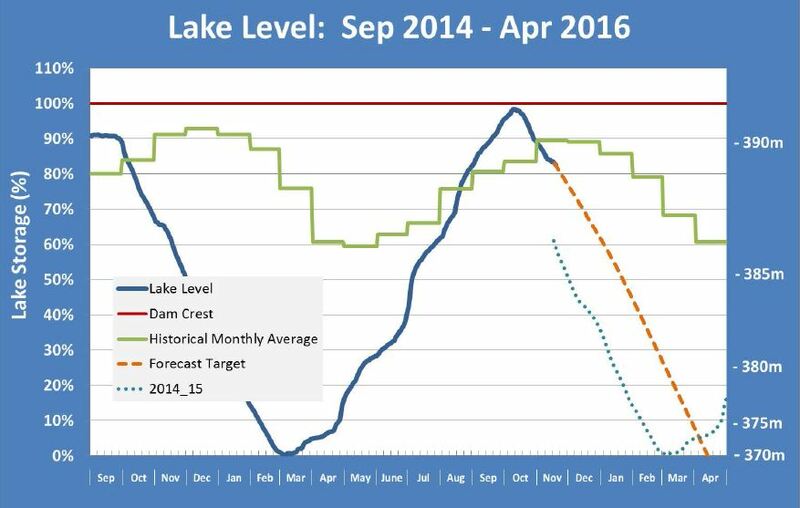 The notice outlines that already it is evident that the catchment inflows are less than last year and that we will need to continue to restrict water use if we are to avoid a full cessation in supply as occurred last year. We have sent out notices today to individual irrigators who, based on our water order information, will need to wind back significantly to remain within the 75% cap. It is important to note that for the majority of our irrigators we actually RELEASE water from the dam based on the water orders – so it is essential that your water order reflects intended use. As is our long standing policy – if you have ordered it, you are deemed to have used it.